Split biscuits horizontally. Spread mustard on bottom halves of biscuits. 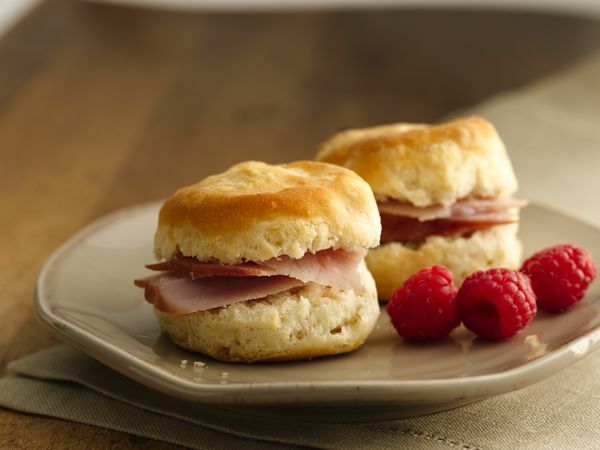 Top with ham and biscuit tops. If you're a mustard fan, you might try a different flavor, such as coarse-grained or country-style Dijon mustard. Serve these tasty sandwiches with a mixture of seasonal fruits for easy-to-prepare breakfast.